The lens of the eye plays an important role in our ability to see clearly. Situated behind the iris and pupil, it works to focus light onto the retina to produce clear, sharp images. As we age, the lens begins to cloud causing a decrease in visual function. This clouding of the eye’s lens is called a cataract. The formation of cataracts is a common part of the aging process that affects more than half of Americans 65 or older. Cataracts can also form at younger ages as a result of hereditary conditions, eye or head trauma, the use of certain medications, and some medical conditions (i.e. diabetes). Fortunately, thanks to modern treatment techniques, cataract surgery is extremely safe and effective. It is also the most common surgical procedure performed, with approximately six million procedures performed in the world and three million performed in the U.S. each year. Contact our eye doctors if you have experienced any of the symptoms listed above. During an exam, our eye doctors will test your vision and will dilate your pupil in order to examine the condition of your lens and other parts of your eye. If cataracts are detected, our experienced team will educate you about your treatment options. Our doctors will recommend cataract surgery when it appears to affect your lifestyle. However, the decision to proceed with cataract surgery is ultimately yours. 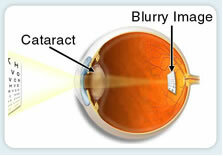 For more information about cataracts contact our doctors. 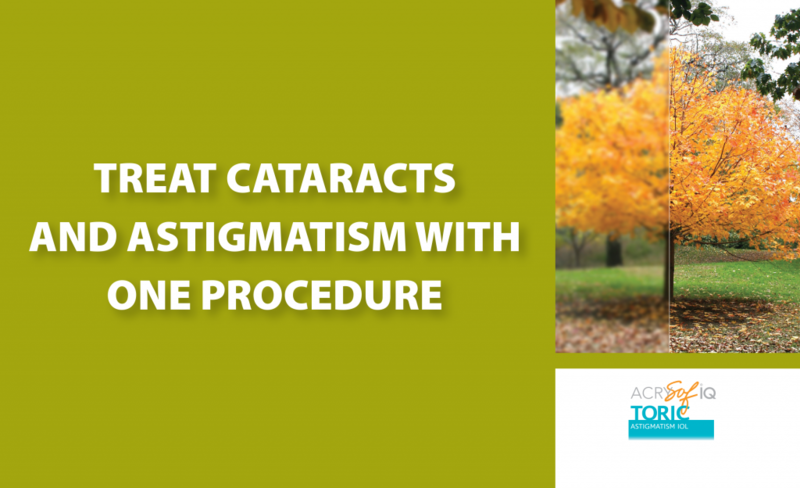 Cataract surgery is one of the most frequently performed surgeries in the world today. The technologies used to perform cataract surgeries are constantly evolving to offer patients optimal results. What is “Femtosecond”? You have heard of terms such as a millisecond or microsecond or nanosecond. Well, FEMTOsecond is a quadillionth of a second. Now, relate that to the speed of a laser. Femtosecond is a newer, but proven laser technology that offers the most precise accuracy, with the least amount of surgical time. And, its ability to perform tight, laser thin incisions, contributes to a much lesser risk of eye infections after cataract surgery. Dr. Ken Parschauer and Dr. Eric Dudenhofer are certified to perform cataract surgery using the Femtosecond technology here at the Parschauer Eye Center. When considering cataract surgery, discuss Femtosecond Technology as your possible option. ORA-Guided Advanced Cataract Surgery incorporates technologies that can increase the accuracy of the procedure and lead to better results. Not only can you regain clear vision, but you may be able to enjoy the crisp, vibrant vision you had when you were younger. With ORA-Guided Advanced Cataract Surgery, your surgeon can take exact measurements of your eye allowing him to tailor the procedure to you and refine your visual outcome. No stitch, no needle, just your best possible results. How will ORA enhance my premium cataract procedure? By providing detailed measurements of your eye, ORA helps your surgeon tailor treatment to your individual needs. Does ORA-Guided Cataract Surgery take longer than regular cataract surgery? ORA adds a small amount of additional time to your procedure, but the extra time is well worth it when considering the enhanced outcome it can provide. Cataract surgery is considered one of the safest surgical procedures performed today. Recent advances in technology and technique have made it gentler and more reliable than ever. Cataract surgery can be completed on an outpatient basis in about 15-20 minutes. Recovery from surgery is often accomplished in a short period of time, depending on the health of the eye at the time of surgery. All cataract surgery is not created equal. 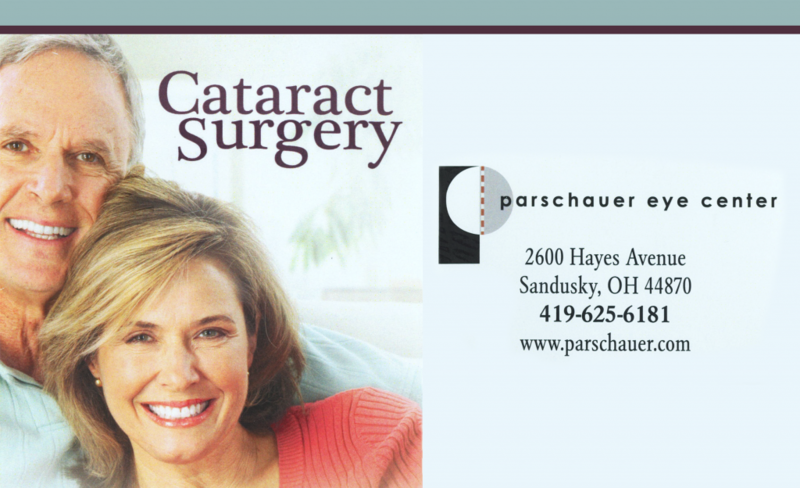 The surgeons at the Parschauer Eye Center utilize a highly sophisticated cataract surgery technique that usually requires no-needles, no-stitches, no-patch and no post-operative drops. We are one of few practices nationwide that has streamlined these advances into one technique. We believe that by simplifying the cataract surgery, our patients are happier, achieve better results, and have a faster recovery. To ensure that cataract surgery is as comfortable as possible, several forms of anesthesia are used. First, gentle IV sedation is administered to help you relax. Then, topical anesthesia bathes and numbs the surface of the eye, while the intraocular medication, Xylocaine, eliminates all sensation inside of the eye. Once the eye is completely numb, your surgeon will create a tiny (less than 3.0 mm long), “self-sealing” incision that allows the eyes to heal without stitches in the majority of cases. The incision remains sealed because the eye’s internal pressure holds the incision tightly closed. Cataracts form inside of the lens capsule, which is like an elastic bag that holds the lens in place. To remove the cataract, the surgeon carefully opens the front portion of the lens capsule. Next, the cataract is gently dissolved with ultrasonic vibrations (phacoemulsification) and then removed from the lens capsule. After the cataract has been completely removed, an intraocular lens (IOL) is implanted in place of the natural lens inside the lens capsule. This allows light to focus on the retina, resulting in clearer vision. 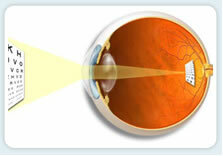 There are many types of lens implants that can be placed in the eye. These implants can correct a wide range of pre-existing vision problems, including farsightedness, nearsightedness, and astigmatism. Before your surgery is complete, antibiotics and anti-inflammatory medicine will be placed inside your eye. The antibiotics will reduce your risk of infection, while the anti-inflammatory medicine will promote healing. The intraocular medicine will lessen your need for post-operative eye drops, which can be difficult for many individuals to place into the eye. With this type of lens you will need glasses to see well at the other points of focus. Mono-vision is when a monofocal lens for distance vision is placed in one eye, and a monofocal lens for near vision is placed in the other eye. This can allow for much reduced dependence on glasses for a majority of daily activities. Studies have shown that mono-vision is well tolerated by 80% of patients. There may still be a need for glasses for some activities such as night driving and prolonged reading. Lifestyle lenses are premium implants utilizing the latest technology to provide patients with a range of vision, from distance to near. These lenses provide the best opportunity for spectacle-free vision after surgery. If you are interested in lifestyle lenses, please take time to mention this to your surgeon. Patients with high amounts of astigmatism are much more spectacle dependent after their cataract surgery. This implant is a monofocal lens that has built-in astigmatism correction. By implanting this lens, post-operative dependence on glasses is reduced. Lower levels of astigmatism can also be reduced by a limbal relaxing incision (LRI) procedure. This can be incorporated with your cataract surgery to help reduce your dependency on glasses. 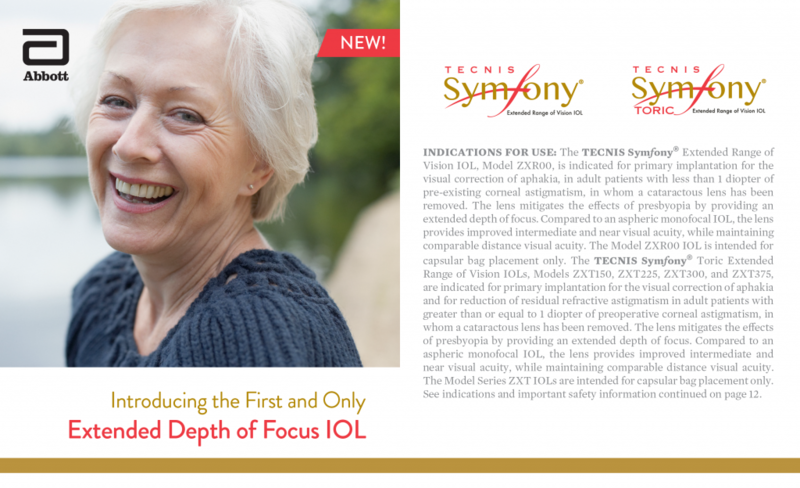 TECNIS® intraocular lenses provide high-quality vision in any light condition. TECNIS® lenses are designed to give good vision both up-close and at a distance by reducing spherical aberrations of the eye’s cornea and lens. Nearly 9 out of 10 patients do not need glasses after the procedure.